Restorative Justice We believe criminal justice includes healing and reconciliation for everyone involved. 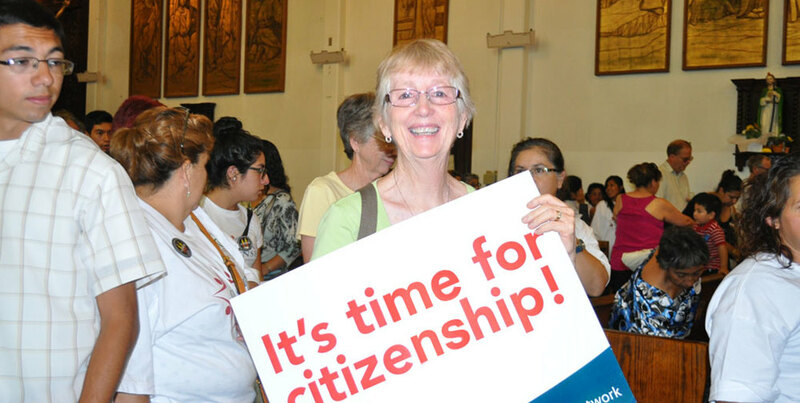 Immigration Reform & Pathways to Citizenship We believe improving the quality of life of our immigrant neighbors benefits everyone. Homeless Advocacy We work with our homeless neighbors and civic leaders towards safe, stable and healthy shelter for all. Healthcare for All We believe our whole community benefits when everyone has access to affordable, comprehensive health care. We develop relationships across economic, racial and spiritual lines to improve the quality of life in Placer County. Work with us in creating lasting positive solutions for our communities. Find out about our campaigns. 100% of your contribution of time and/or money goes directly to making a difference in our community! YOUR DONATION HELPS US EMPOWER THE DISENFRANCHISED TO CREATE POSITIVE SOLUTIONS IN COMMUNITIES. Placer people of faith together is a member of the Faith in action network. Placer People of Faith Together, Faith in Action Network are nonpartisan and are not aligned explicitly with any candidate or party. We do not endorse or support candidates for office.